Today we are pleased to announce that we have a new listing coming on the market. Estuary II, Building Six, Unit 2079 is coming on at a price of $225,000. 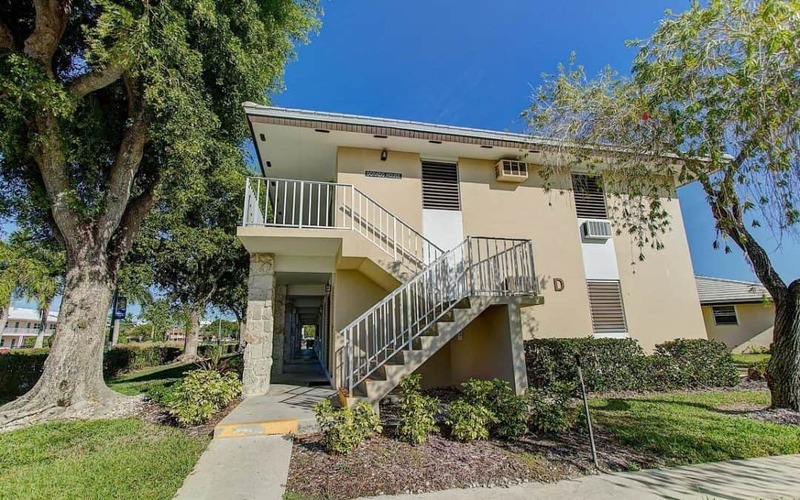 This first floor, end unit is conveniently located near the pool. This unit has a gorgeous private view of the greenery and wooded area surrounding the community. The unit comes with additional storage space available in the attic. The unit also has tile flooring and vaulted ceilings throughout. This complex was recently painted and the parking lot was repaved giving this a great look. Looking for more information? Contact us today. We hope that you had a wonderful weekend. Today we wanted to take a moment and talk about a building that we believe is a hidden gem on the island, Southern Breeze Gardens. Located at 1141 South Collier Boulevard, Southern Breeze sits along the south end of the island. The building is conveniently located just a short distance from a beach access point. The best part about this building is that the units in here are all three bedrooms! With a very friendly layout, the units feel even bigger than just shy of the 1,400 square feet that they are. In addition, the units have large lanais and covered parking spots. There is also extra storage on site for each owner. This really is a great building. Want more information? Contact us today! Is rental income important to you? Are you thinking about making a purchase in the Marco Island market, but can’t decide on what is best for you and your family? We are often asked about rental income in our market and which buildings can generate lots of income for an owner. I usually start by asking what price point they are trying to stay around. With that being said, on the beach, there are a couple condos that allow weekly rentals. They include South Seas towers 3 & 4, Seawinds, Apollo and Somerset. These buildings are completely different from one another and if beachfront property with rental potential i what you are looking for, this is a good place to start. 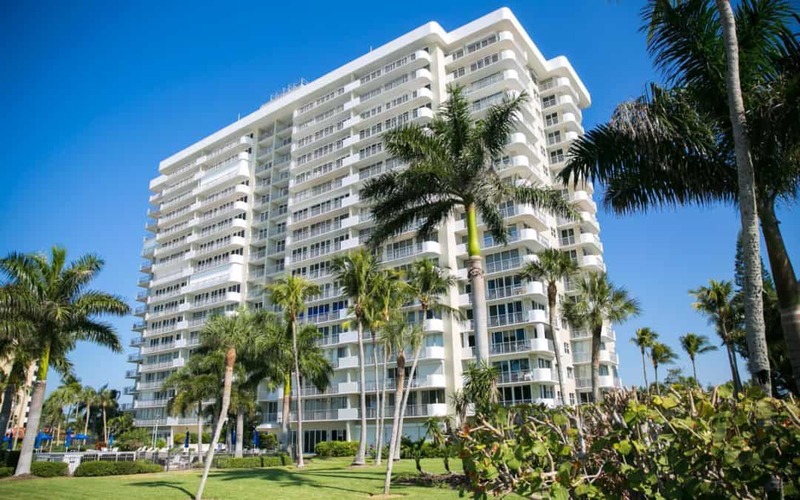 If the beach is over the price point of a buyer, I recommend starting the search in condominiums like San Marco Residences, Essex and Grandview. 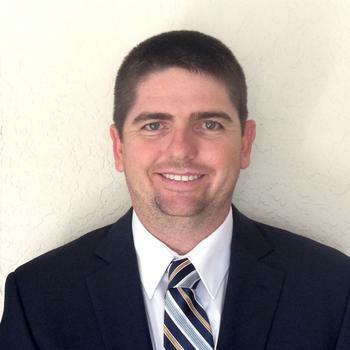 Looking for more information on rental income while investing in Marco Island real estate? Contact us today! 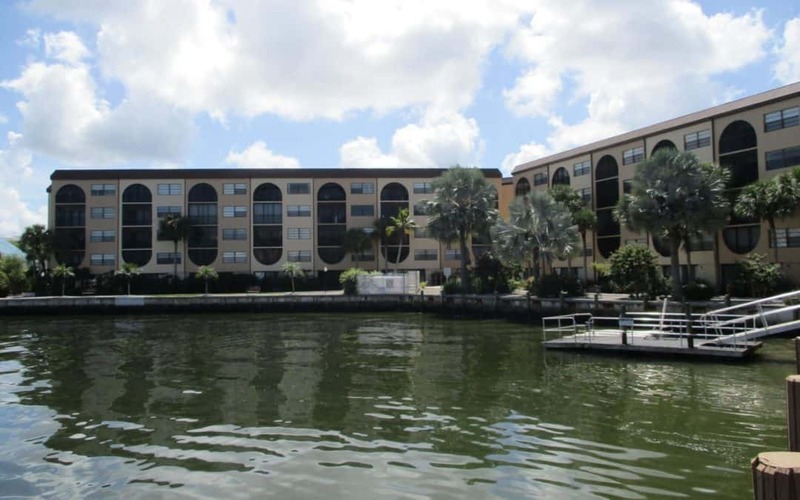 Have you ever seen the Anglers Cove community here on beautiful Marco Island? If not, you are truly missing a great community. With 320 units spread across their complex, Anglers Cove has a variety of living styles. Whether you are looking for a one bedroom or two bedroom unit or something in between, Anglers Cove has a variety of floorplans to choose from. Their cabana units are quite unique to Marco Island and offer townhome style living with covered parking that goes right into your unit. What could be better than that! Best of all is the location. Anglers Cove sits on a beautiful bay with beautiful water vies. They have multiple pools, hot tubs and tennis courts on site. In addition, they also have a tiki bar style restaurant with some of the best seafood on the island. In addition, there are many shops, restaurants and a marina all in the surrounding blocks. Would you like more information on Anglers Cove? Reach out to us anytime. Have you ever been to the Aquarius community on Marco Island? 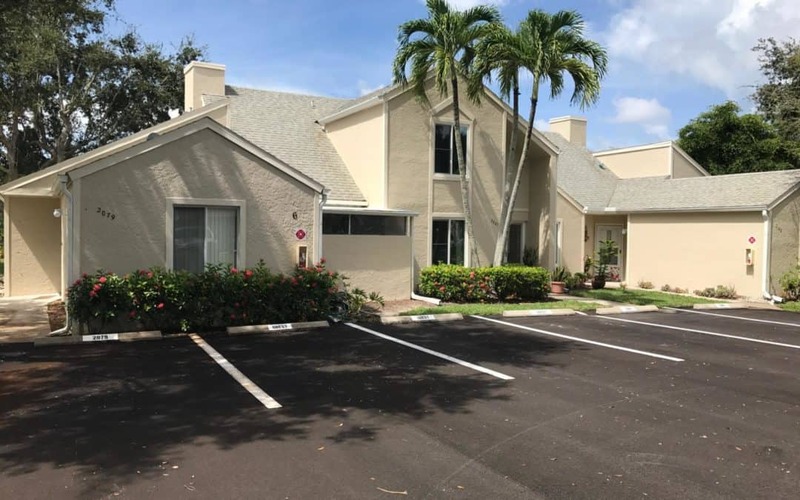 This beautiful complex is conveniently located at 167 North Collier Boulevard which puts it conveniently near the prestigious Residents Beach as well as close to some of Marco Island’s household restaurants. The Aquarius is comprised of 150 units and they come in three different size, efficiencies, one bedroom apartments and two bedroom apartments. The units range in size from 448 square feet up to 704. The complex has a pool, clubhouse and shuffleboard area on site as well. Built in the early 1970s, this complex is extremely popular among owners and guests. The community also boasts low maintenance fees in comparison to most of the island. Want more information regarding the Aquarius? Contact us today! Today we wanted to feature one of our beachfront communities, Admiralty House. This beachfront condominium is located slightly north of the center of the island. The Admiralty complex has 200 units that are either one bedroom or two bedroom floor plans. The building is divided into a north building and south building so there are only six units on your floor with you. 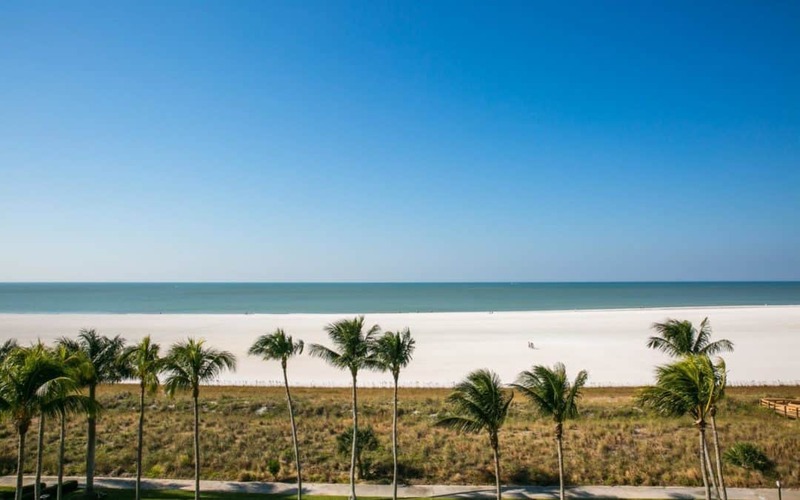 This condominium boast stunning views of Marco Island’s luxurious beach and beach access is very simple here. 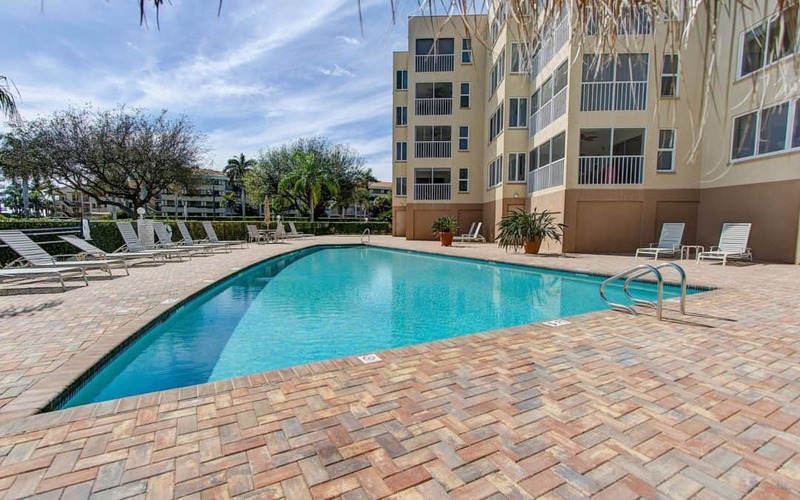 In addition to the beach, the complex has a large pool with lots of room around the pool to enjoy the southwest Florida sun. Each unit here comes with a carport spot as well as extra storage. The complex also has tennis courts and a great community room. Would you like more information about the Admiralty House or one of our other beachfront communities? Contact us today!